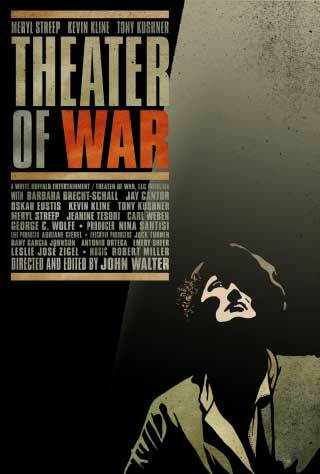 Today I found 2008's Theater of War by director John Walter. 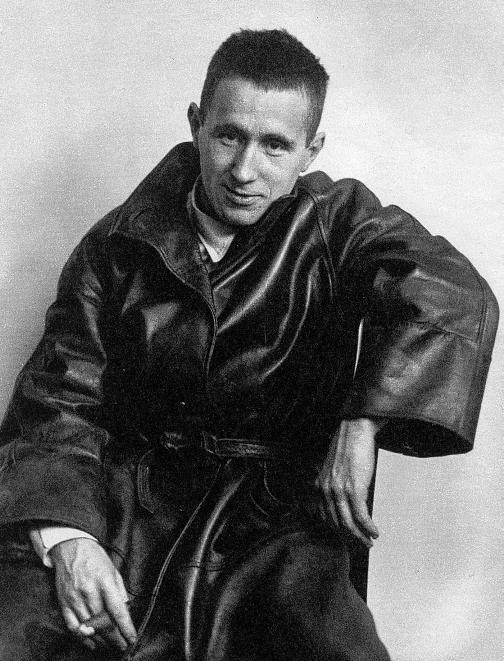 This documentary is ostensibly about the 2006 production of Bertolt Brecht's Mother Courage and Her Children, a “punishing statement of protest against the grim folly of war,” that was directed by George C. Wolfe and ran in New York's Central Park for four weeks . 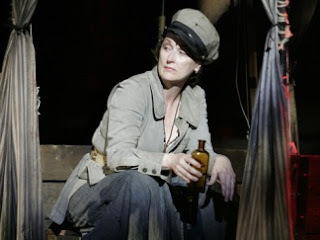 What was of particular interest about this production was that it was a new translation done by playwright Tony Kushner, best known for Angels in America, and starred Meryl Streep. Unlike the subject of my last column, This So-Called Disaster, this is not really a “behind-the scenes” documentary. A matter of fact, Streep even points out how uncomfortable she was with Walter filming the rehersals, “Process is clunky,” she says. Rather, this film functions more as a political essay into the underpinnings of Brecht's play. Weaving together Brecht's fascinating biography (of special note is footage of his “performance” in front of Joseph McCarthy's House Un-American Activities Committee), novelist Jay Cantor's lectures on Marxism, and the anti-Iraq war protesting that was occurring at the time, the film has the trappings of an anti-war polemic. This documentary makes a strong case for why art matters. It provides a voice to the feelings we all have. To this end, one of the most memorable moments in Mother Courage and in Theater of War is when, having lost almost everything truly dear to her, Mother Courage sings the “Song of Great Capitulation”. This song is as bitter as it is true. It spells out the death of innocence, the decent from idealism to cynicism. Streep pulls this song off perfectly, singing lines like, “Push comes to shove. Soon you fall down from the grandstand … It's all downhill. Your fall was God's will. Better let it be,” as if she was talking directly to each member of the audience. This documentary is just about perfect. It could have easily veered off into a heavy-handed diatribe, but under John Walters inspired directing, it is engaging, thought-provoking, and timely. This is probably one of the best documentaries I've seen since I started writing this column. If you want to know why live theater can still be a vibrant voice for society, this documentary is for you. 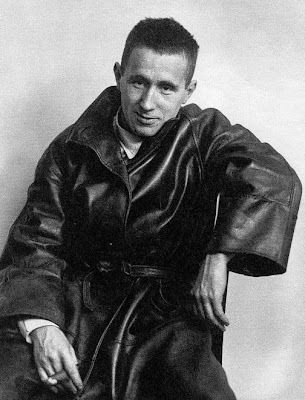 If you've ever wanted to know more about Bertolt Brecht, this documentary is for you. If you still have questions as to why we continue to engage in the wholesale slaughter of war, this documentary is for you. If you consider yourself a thinking member of society, this documentary is for you.